Lucy wants to take her two-week vacation to Palm Springs with Kim but can't go unless she gets fired. Harry informed her she used all her vacation up on long lunches and coffee breaks. Stressed out by working with Lucy, Harry has begun seeing psychiatrist Dr. Cunningham. As Lucy continues to cook up wild ways to get Harry to fire her Harry's doctor is telling him to be nice to her. The doctor suggests sending Lucy away for two weeks to give Harry a much needed break. 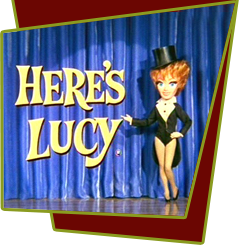 This episode features a classic look as Lucy dons a wild wig and costume in an effort to not dress conservatively. Special Notes: Parley Baer, a Lucy veteran going back to the old I Love Lucy days, will also play Harry's shrink in several future episodes.